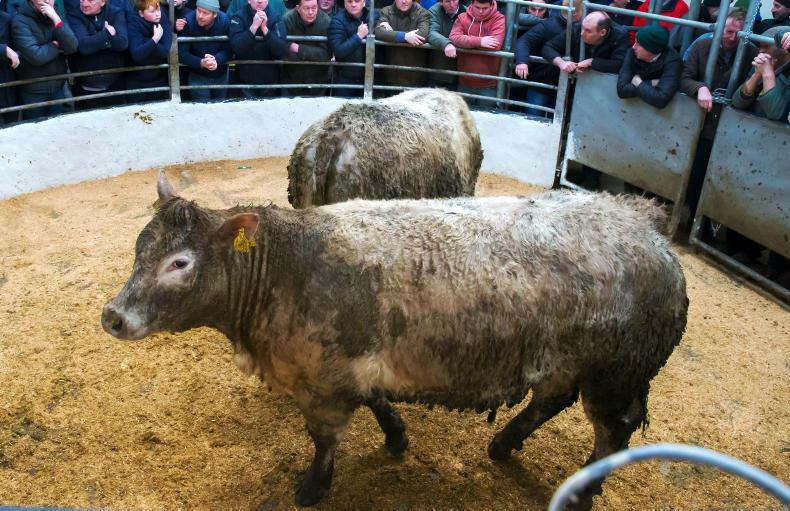 The trade was helped by the presence of northern buyers who were active for good-quality heifers and cows. 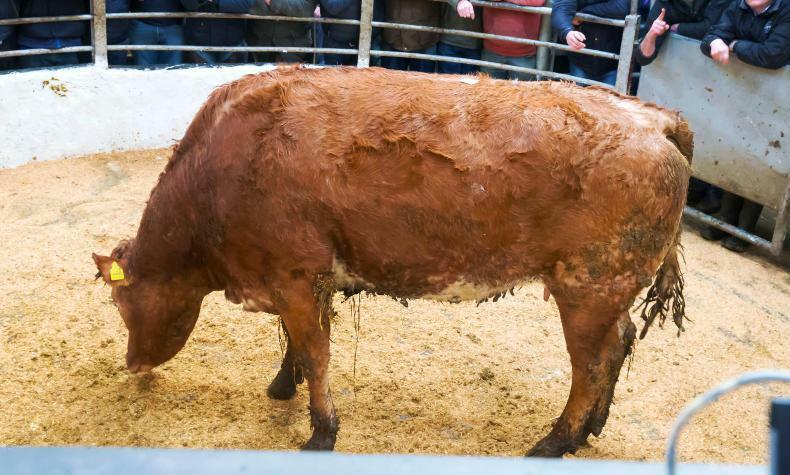 This fleshed Limousin-cross heifer, weighing 605kg and born February 2017, sold for €1,310 (€2.17/kg). 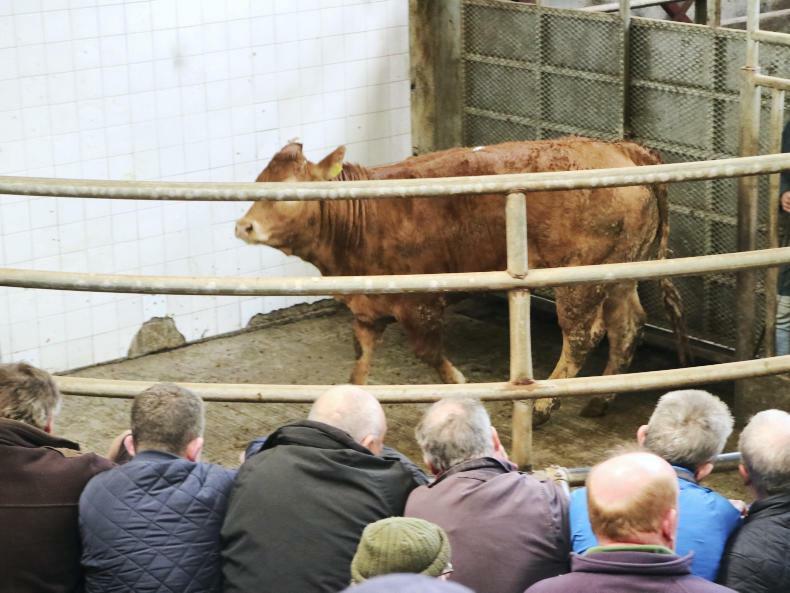 These Limousin-cross heifers averaging 580kg and born February and May 2017 sold for €1,340 (€2.31/kg). 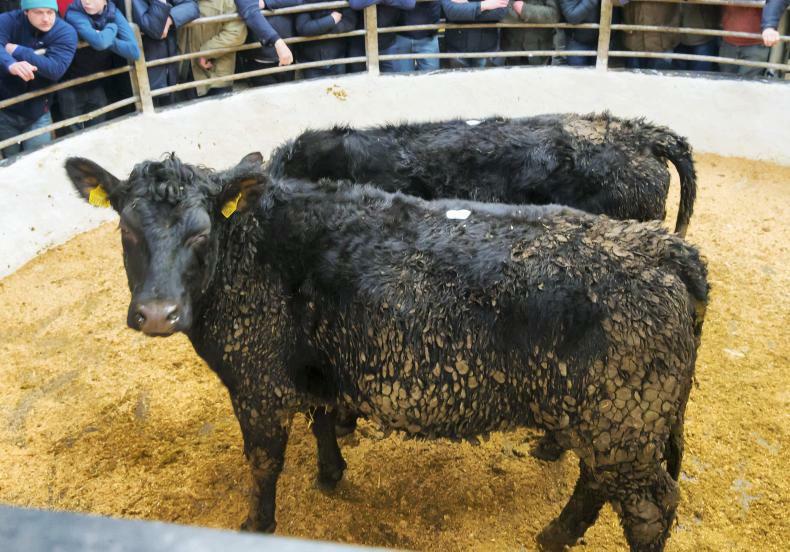 These Simmental-cross heifers averaging 590kg and born March and May 2017 sold for €1,250 (€2.12/kg). 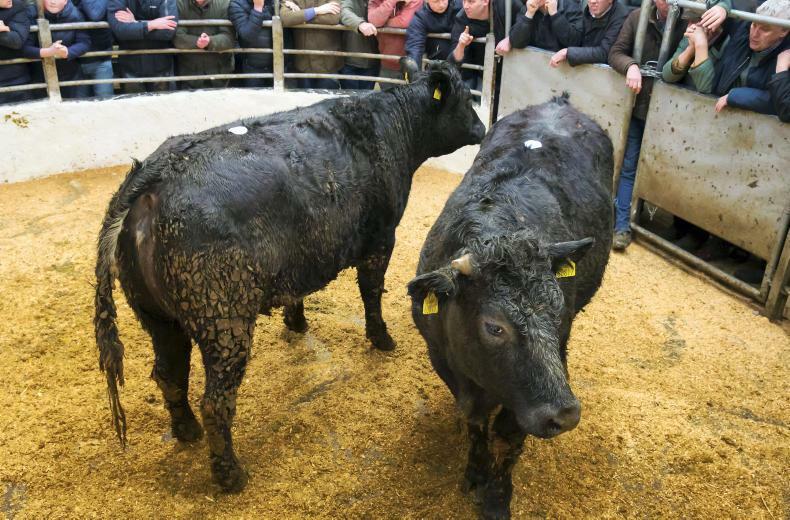 Two Aberdeen Angus-cross heifers, average weight 445kg and born January and February 2017, sold for €810 (€1.82/kg). 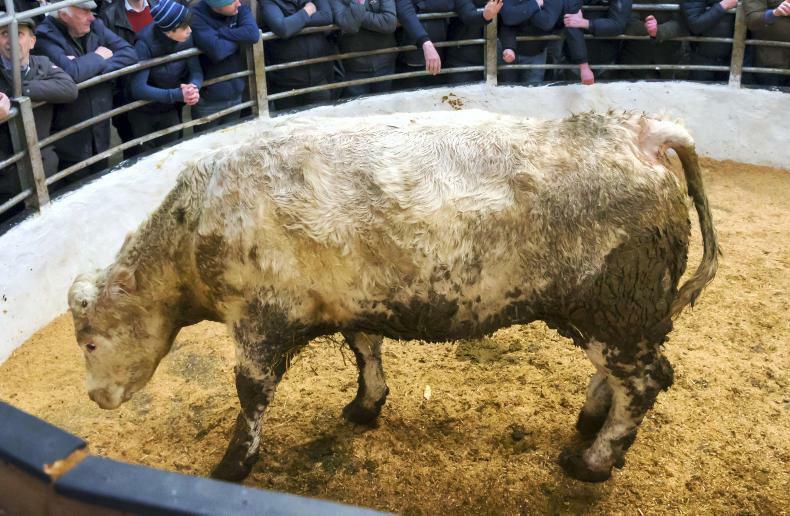 This Charolais cow, weighing 775kg and born May 2008, sold for €1,290 (€1.66/kg). 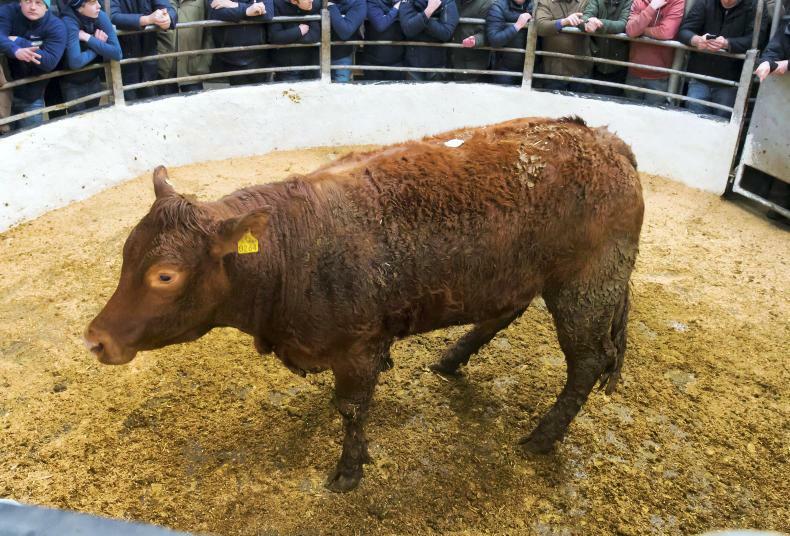 This quality Limousin cow, weighing 840kg and born May 2014, sold for €1,520 (€1.81/kg). 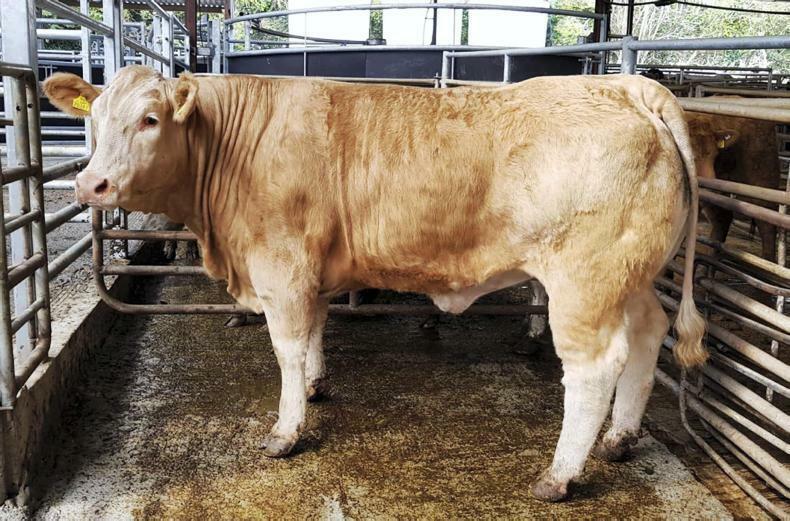 This good-quality Charolais-cross store heifer, weighing 575kg and born May 2017, sold for €1,240 (€2.16/kg). 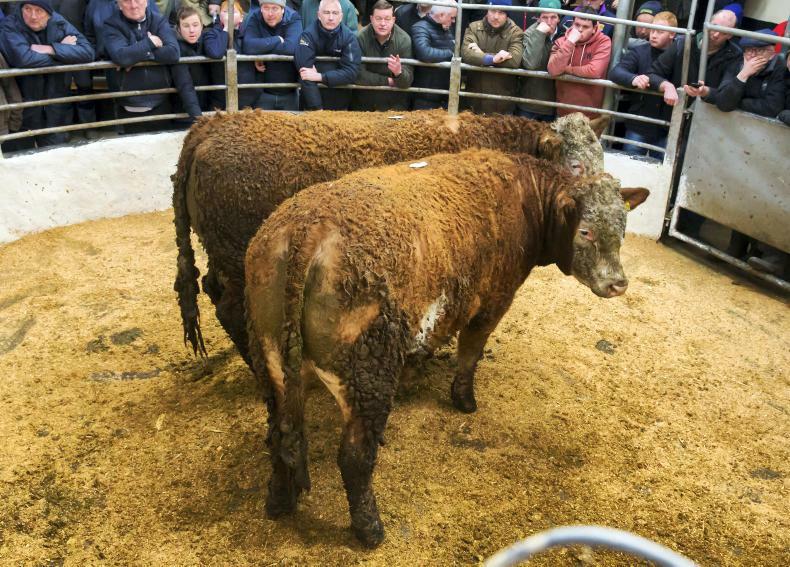 These two Limousin-cross store heifers, with an average weight of 555kg and born May and May 2017, sold for €1,090 (€1.96/kg). 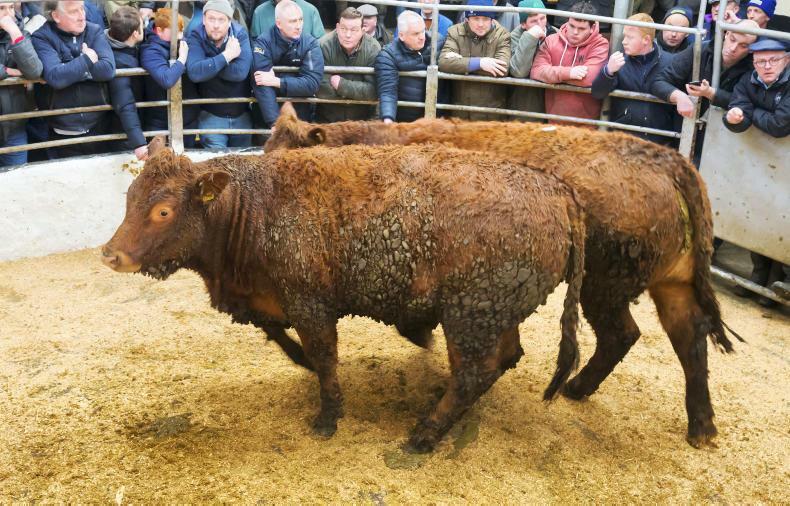 These two good-quality Limousin-cross heifers, weighing 575kg and born April and June 2017, sold for €1,260 (€2.19/kg). 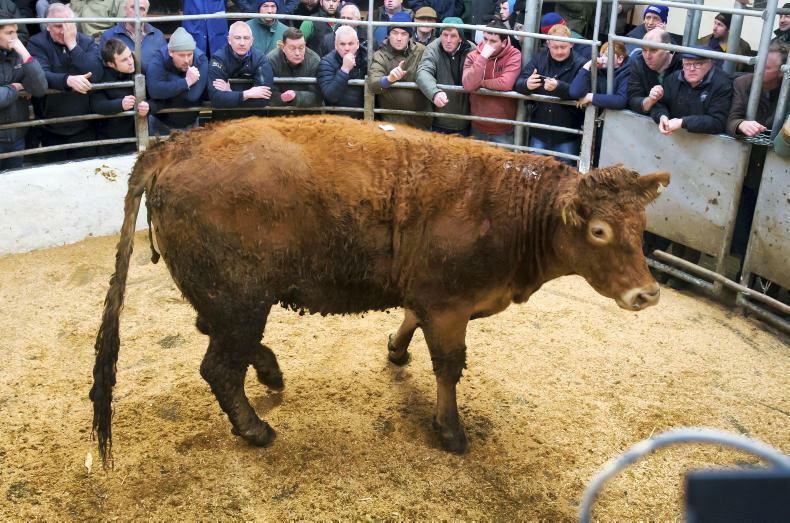 This 565kg Limousin-cross heifer born October 2016 sold for €1,400 (€2.48/kg). 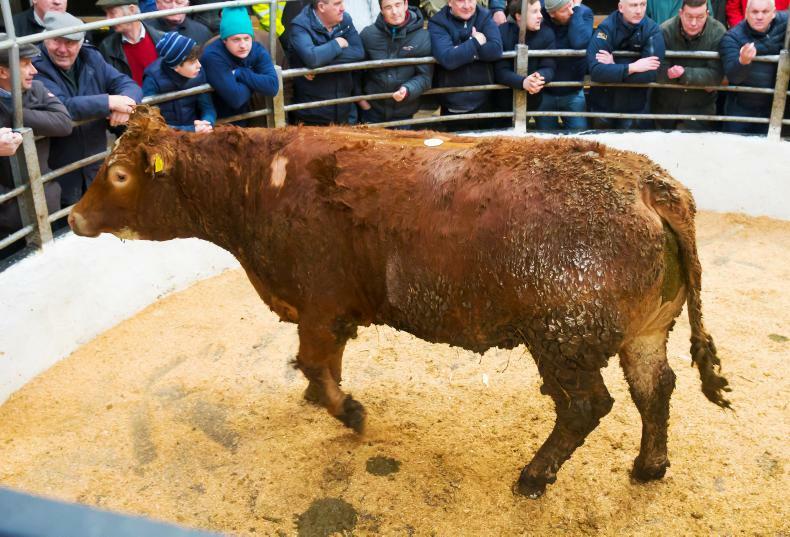 This 690kg Hereford-cross cow born February 2013 sold for €1,150 (€1.67/kg). 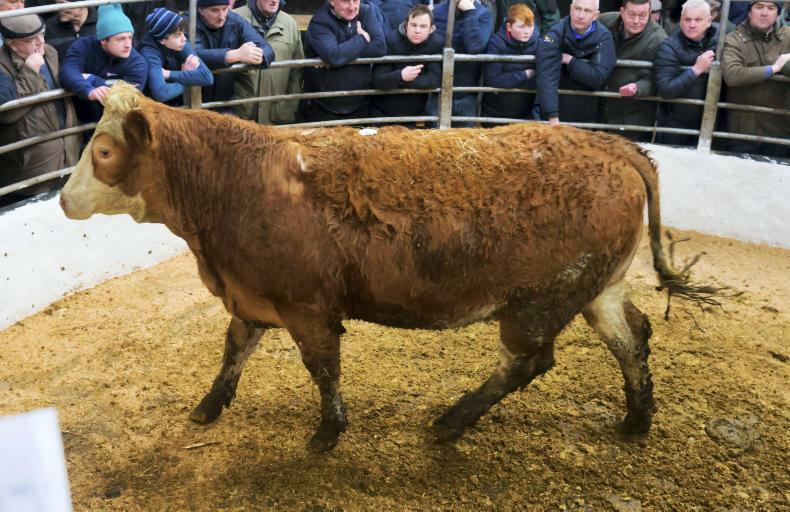 This heavy Simmental-cross cow, weighing 940kg and born April 2014, sold for €1,500 (€1.60/kg). 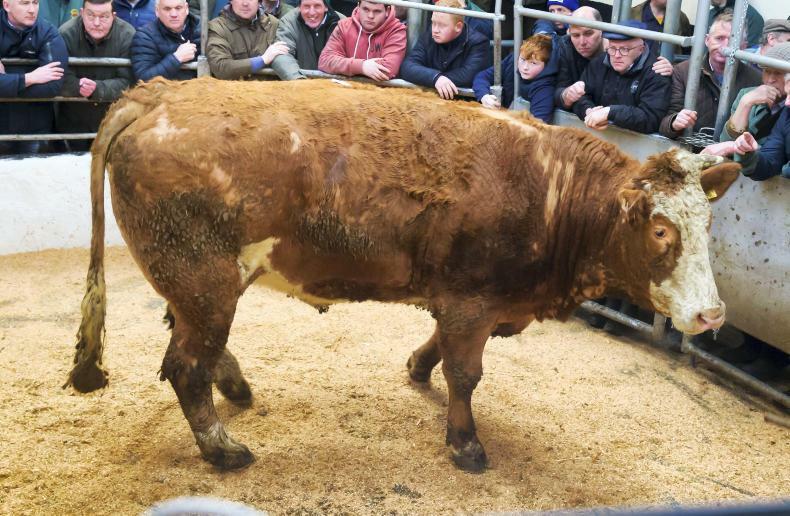 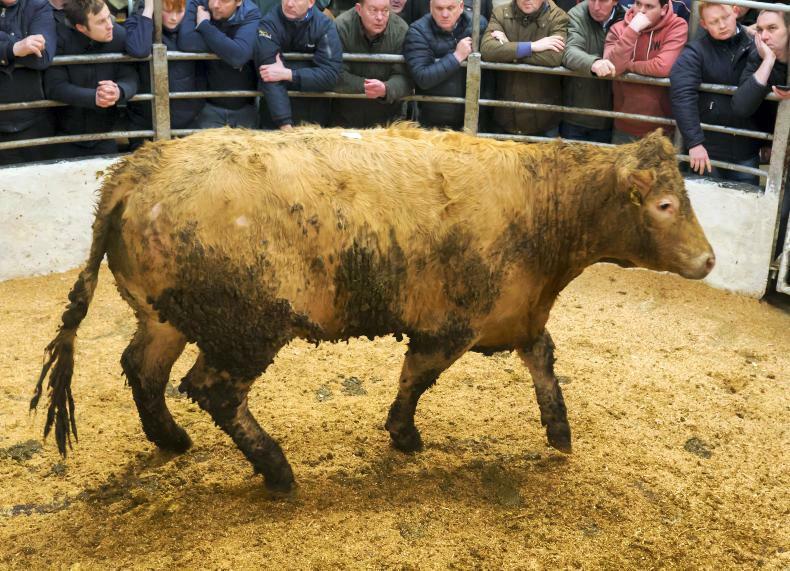 This 775kg Limousin cow born May 2014 sold for €1,340 (€1.73/kg). 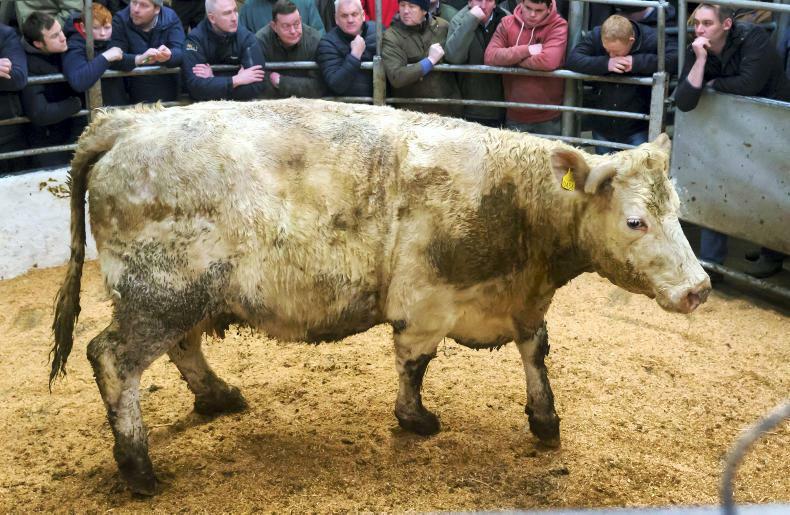 This 610kg Charolais-cross heifer born October 2016 sold for €1,290 (€2.12/kg). 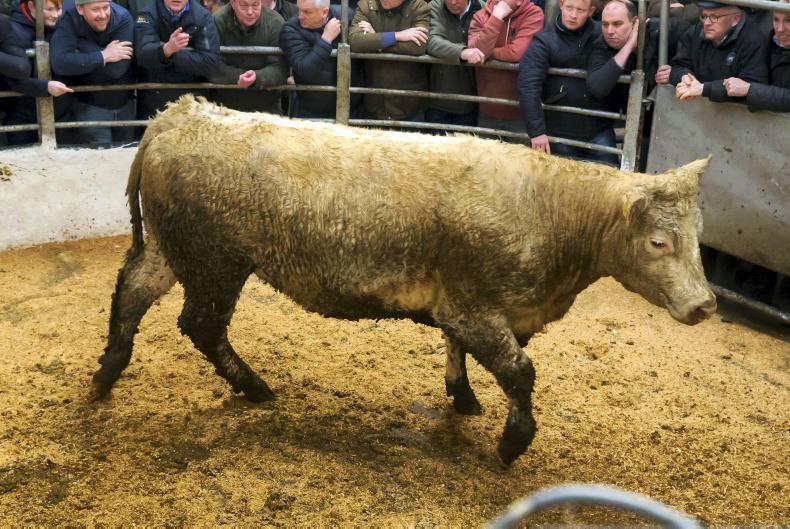 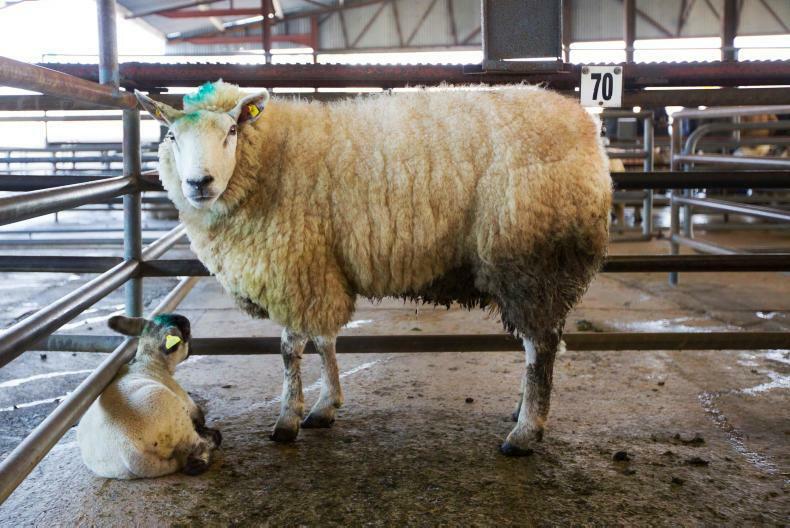 This 865kg Charolais cow born July 2008 sold for €1,300 (€1.52/kg).